As we enter the second half of 2018, rumors for the second season of flagships have started to emerge. On the Android side, this means the latest iterations of the Google Pixel, Galaxy Note, LG V series, and Huawei Mate. 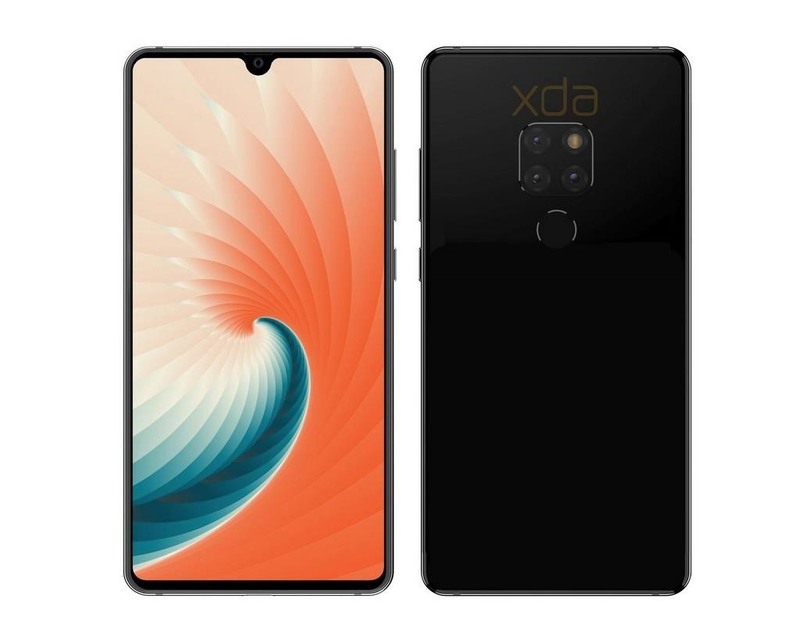 Thanks to FunkyHuawei and XDA, we now have some solid rumors regarding the Huawei Mate 20. Despite our hopes for the introduction of the P series in the US, it appears, for now, we are stuck with only the Mate series. I use "stuck" loosely, as these are great phones to have that consistently rank high on the best sleeper phones list. Based on the recent leaks, it looks like the Mate 20 will once again top this list, as Huawei continues to push the spec sheet for smartphones. At the heart of the new Huawei Mate 20 is the latest entry in HiSilicon's Kirin lineup, the Kirin 980. This is the first SoC using the TSMC 7 nm process (although Apple is technically first to market with the Apple A12 Bionic). Thanks to this smaller process, the SoC has improved by 20% overall with a 40% improvement in power efficiency. The Kirin 980 is also the first SoC to use the new Cortex-A76 cores, which are 75% more powerful than the previous generation. They're more power efficient, offering a 58% improvement. These cores are arranged in a three-level structure, with two Cortex-A76 cores at a higher frequency and two Cortex-A76 cores at a slightly lower frequency, plus four "little" Cortex-A55 cores. Compared to the Qualcomm Snapdragon 845's big.LITTLE design, this new arrangement allows the SoC to handle more types of situations, including immediate, intensive loads, sustained higher intensity lows, and light activities which don't require the computing power of the Cortex-A76 cores. As for mobile games, the Kirin 980 is paired with a Mali-G76 GPU which, like the CPU, is a huge step up from the previous generation. The Mali-G76 has 46% greater graphics processing power than the previous generation while improving the power efficiency by 178%. The result is gaming will be much better on this new chipset, while consuming far less battery life. And just like last year's Kirin 970, Huawei is focusing on AI, which starts with an onboard NPU. The new Kirin 980 has two NPUs for greater processing power and improved intelligence. AI enhancement to photography will help recognize objects and scenes much faster, allowing you take better photos quicker. And for apps that leverage this computing power, they too will be able to use machine learning enhancements faster for an overall better experience. Finally, there is a new Image Signal Processor for better photos and a new Cat. 21 modem, a first for smartphones. With that modem, all Kirin 980 devices (starting with the Huawei Mate 20 and 20 Pro) will be able to receive download speed at a theoretical max speed of 1.4 Gbps. Last year, Huawei demonstrated its Point Cloud Depth Camera, a 3D facial scanning technology which they believe is more accurate and more secure than Apple's Face ID. Huawei's technology was able to map a 300,000-point cloud (or dots) in 10 seconds. During a shorter period, such as the second or two people expect it to take to unlock their phone, Huawei's Point Cloud Depth Camera was still able to map more dots than Face ID. And its appears Huawei is bringing it to the Mate 20 Pro. More dots should improve accuracy when it comes to detecting faces. The more dots used to reconstruct your face, the better chance of finding small differences which separate you from say (potentially) a twin. And with Huawei's algorithm, the Mate 20 and Mate 20 Pro will be able to identify you in only 500 ms (that is half the time of the iPhone X, according to Huawei). The same technology will also be used for Huawei's version of Animojis, as well as object reconstruction (measuring an object and creating an accurate 3D model to its exact dimensions). Huawei is also including a number of new security tools based on their new face unlock. For example, individuals apps can be locked, requiring 3D Face Unlock to access. They are also including features such as Private Space, Private Screen, and File Cabinet. More information on these features will come during the launch event. Besides Android fans, Huawei is targeting Apple fans disappointed by the new iPhones and their lack of a fingerprint scanner. Since users like choices, instead of limiting users to the 3D Face Unlock, Huawei will also include an in-screen fingerprint scanner. Rumors have it that this isn't the same in-display fingerprint scanner as the one found in previous phones. According to BGR, the scanner in the Mate 20 will be Qualcomm's second-generation ultrasonic fingerprint scanner. This technology is much more accurate than the in-display fingerprint scanner found in the Vivo X21 UD. It is also able to operate in thicker displays, up to 800 microns compared to 300 microns of the older technology. According to QQ, the technology will be optimized using Huawei's algorithm that is based on Liu Haiping's design. With this optimization, it should be much faster than previous devices which included the feature that are typically criticized for having somewhat slow performance. Huawei will only include the technology in the Mate 20 Pro (which is more likely the one coming to the US). 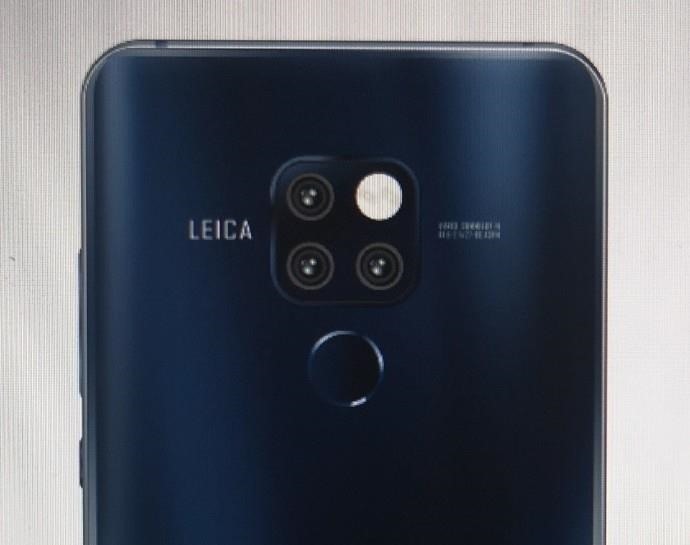 The Mate 20 will have a rear fingerprint scanner instead, positioned right below the triple cameras (more on that later). According to BGR, Huawei will likely monopolize this technology until February 2019, preventing any phone between now and then from using it. Similar to the strategy implemented by Samsung with the Qualcomm Snapdragon 835, it's possible this will prevent Samsung from including the same in-display technology in the Galaxy S10. According to G-rafa, Huawei will also be including a new voice authentication technology known as Bone Voice ID. According to the report, Bone Voice ID is able to combine both voice recognition technology and something known as Bone ID to create a much more accurate voice recognition technology that can unlock even in noisy environments. This might be the first Huawei triple camera device to hit US shores. Thanks to the ongoing battle between the Chinese manufacturer and the US government, Americans missed out on Huawei's first triple camera phone, the P20 Pro. However, if a new leak proves to be true, we may have lucked out with the Mate 20. According to QQ, the Mate 20 and Mate 20 Pro will both have triple camera arrays, unlike the P20 series where only the bigger device had three cameras. 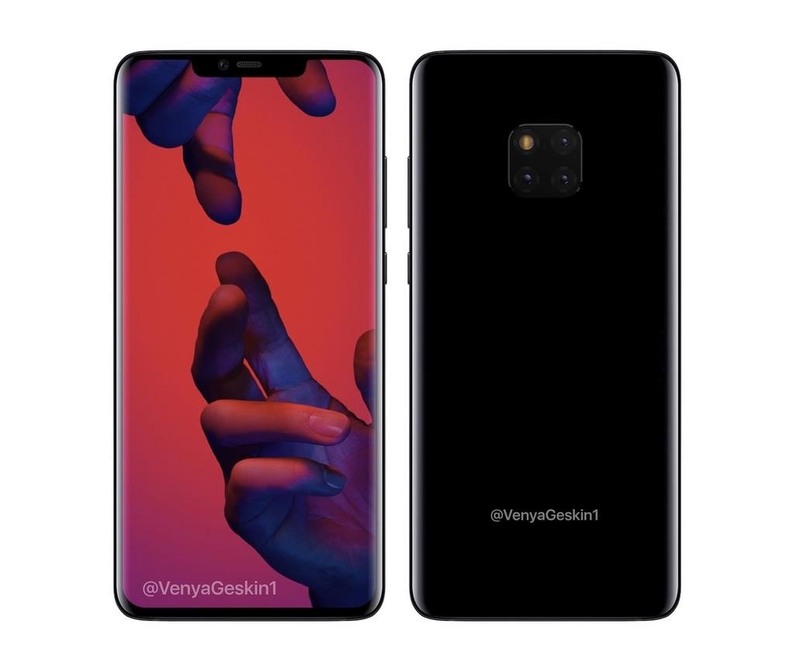 Both will be arranged in a small square on the back cover, positioned right above the rear fingerprint scanner on the Mate 20 (the Mate 20 Pro doesn't have a rear fingerprint scanner). Rumors indicate it will have a similar but slightly scaled down version of the P20 Pro's camera system. The Mate 20 and Mate 20 Pro will use a 12 MP RGB Sony IMX380 lens, a 16 MP monochrome Sony IMX600, and an 8 MP telephoto lens (no details on what sensor this lens will use). Since the price for the modules dropped in the second half by about 33%, this shouldn't have a negative impact on the Mate 20's overall price. There is a rumor that the main camera is actually the same 40 MP RGB sensor from the P20, but this information has been called into question. Both the Mate 20 and Mate 20 Pro will support Huawei's new fast-charging technology. Similar to Oppo's Super VOOC, the SuperCharge 2.0 is able to charge 0–70% battery capacity in 30 minutes. And these numbers are based on the 4,200 mAh batteries included in both variants of the phone. Not only will the Huawei Mate 20 and Mate 20 Pro have among the biggest batteries on the market, but it will also have the fastest charging times as well. And for our wireless charging fans, Huawei has finally heard you. Now that wireless charging has gotten faster, Huawei will finally include the charging technology to their Mate series. Both variants support 15W wireless charging. For context, Quick Charge 3.0's max power is 18W, so this will deliver recharge times similar to older fast-charging technology. The Mate 20 series will support stereo speakers. In addition to the bottom-firing speaker, there's a speaker above the small display notch under the grill, and the two will work in unison. According to G-rafa, these speakers will support Dolby Atmos and SLS. For most flagship phones, the display usually is one of its most standout features. However, as you've read, with the list of new and innovating technology packed in the small factor, the display is one of the least exciting aspects of this phone. Currently, the Mate 20 is rumored to have a screen size of either 6.3 or 6.53 inches. According to G-rafa, the screen is 1080p with an aspect ratio of 18:7.9. Like its predecessor, the cheaper model will once again use an IPS display as a way to separate the two phones and maximize battery life. As for the Mate 20 Pro, we're even more unsure about the screen size. Multiple rumors pointed to a 6.9-inch display. However, some rumors have it at 6.3 inches. The latter is possible, despite its smaller size than the regular Mate 20, because all rumors indicate an upgrade to an AMOLED display. It uses a curved display with QuadHD+ resolution, which is significantly upgraded over the Mate 20, even if its has a smaller display. As with many of these facts, we'll have to wait and see what turns out to be true. As we get closer to the Mate 20's launch event, we are now learning of some new accessories that will be launched alongside the Mate 20, the Freebuds 2 Pro. Freebuds are Huawei's version of Apple's AirPods, and they're very similar in both size and design. 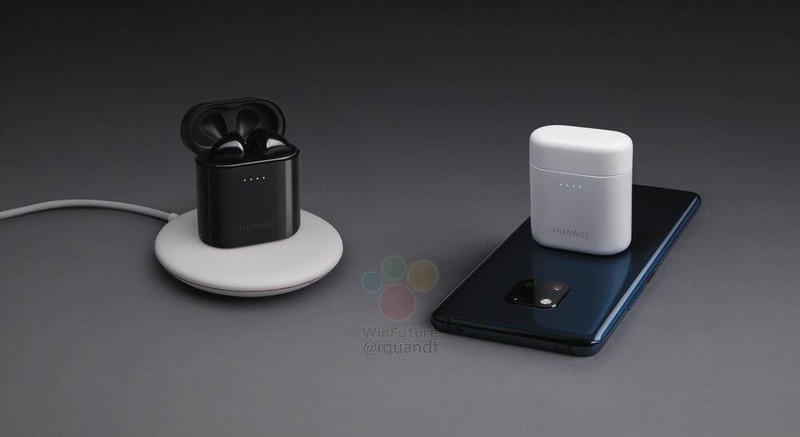 However, according to WinFuture, what's unique about the Freebuds 2 Pro is their ability to charge wirelessly using the Huawei Mate 20. By placing the case on the back cover of the Mate 20, the case will charge its battery, which in turn is used to charge the Freebuds. Additionally, according to G-rafa, Huawei will also be introducing a new nanoSD, which the Mate 20 Pro will support (no rumors on whether the Mate 20 will support it as well). The nanoSD is about the size of a Nano SIM and has storage capacity up to 256 GB at launch. 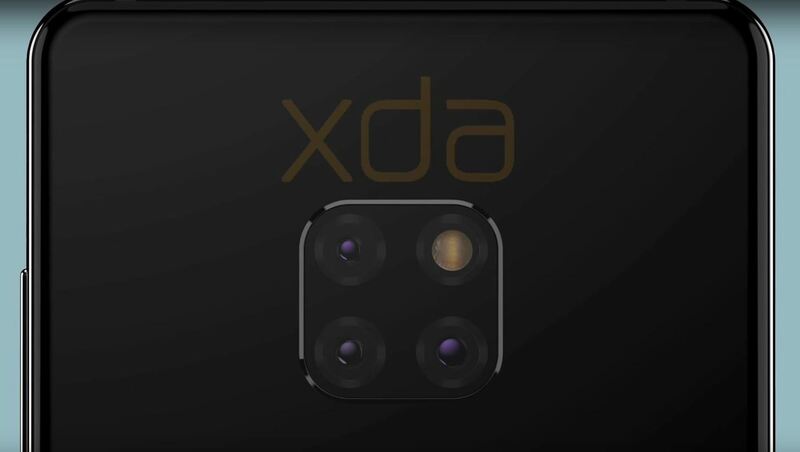 According to XDA, this will also be the first Huawei phone to launch with Android P. EMUI will be running on top as usual, with the skin updated to 9.0, matching the version number of Android P. With it comes some new changes, including improvements to battery life and security. While we don't know how the skin will change visually, expect Huawei to bring many of the visual changes you've come to expect with EMUI skins. 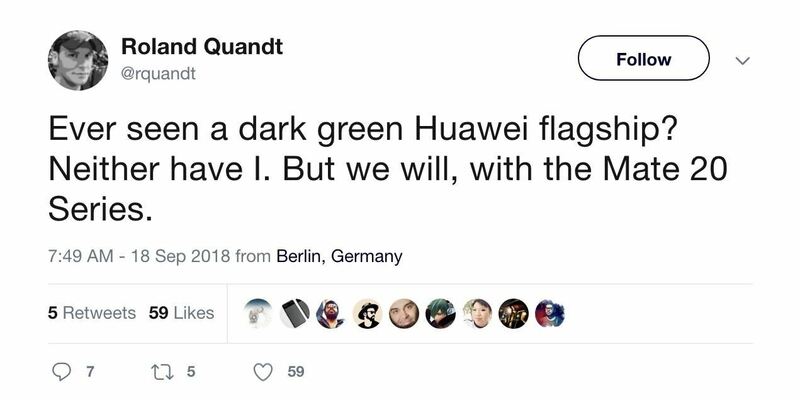 According to Roland Quandt, Huawei will also be introducing a new color: Dark Green. This would be the second confirmed color, with black being seen in multiple leaked photos. How exactly this color looks is anyone's guess, but we are hoping "dark" doesn't mean black with a small hint of green. Since it might be a bit confusing, here are all the differences between the Mate 20 and Mate 20 Pro. The Mate 20 will have an IPS LCD display, compared to the Mate 20 Pro's AMOLED display. The screen size should be different, with the Mate 20 either 6.3 or 6.53 inches and the Mate 20 Pro either 6.3 or 6.9 inches. The Mate 20 will have a physical fingerprint scanner while the Mate 20 Pro will have an in-display fingerprint scanner. Mate 20 Pro will have 3D Face Unlock that rivals Apple's Face ID, while the Mate 20 will use a 2D Face Unlock similar to what's found in phones such as the OnePlus 6. The Mate 20 will also use a slightly smaller battery at 4,000 mAh compared to the Mate 20 Pro's 4,200 mAh. The Mate 20 will have a headphone jack while the Mate 20 Pro will not. The Mate 20 will come with 4 GB of RAM while the Mate 20 Pro will have 6 GB. Finally, each phone will have a different IP rating, with the Mate 20 at IP53 and the Mate 20 Pro rated at IP67. There should be a difference in pricing, but we don't know that as of yet. We know the Mate 10 Pro debuted in the US for $799. Therefore, we believe the Mate 20 or Mate 20 Pro (which version they decide to give us) will be at least $50 more than that, around $849. However, with all the rumored changes and the higher prices of Apple and Samsung flagships, Huawei has a bit of wiggle room to increase profit margins while remaining the cheaper option. Therefore, our assumption is a price between $899–$949. However, according to a recent leak on Slashleaks, the price of the Mate 20 will be $999. This price would indicate that the Pro version will be at least $100 more, around $1099. However, this leak has been called into question, so take it with even more grains of salt than the other rumors. It also appears once again the US markets will get the Mate 20 Pro. 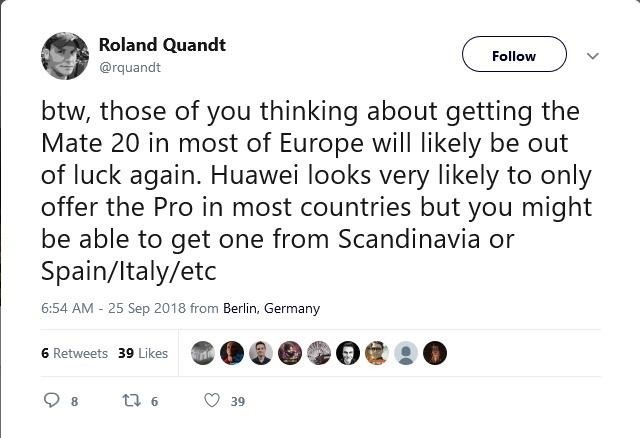 According to Roland Quandt, most markets outside of China will be getting the Mate 20 Pro and not the Mate 20. 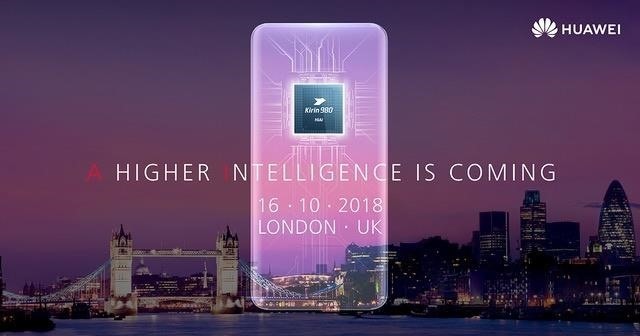 As for availability, Huawei is sending out invites for an event on October 16th in London, which is powered by the Kirin 980. So more than likely, this is the date for the upcoming devices. Huawei seems determined to ship 200 million smartphones by the end of the year. With such a competitive offering (at least on paper) with the Mate 20 series, it looks like they will be able to meet their goal. What do think about the Mate 20 Pro? Are you excited about the specs? Let us know in the comments below. Might want to change the specs of the mate 20.